The mission of the Center for Community & Social Impact is to work alongside communities to identify and dismantle social injustices and inequities by empowering people to facilitate impactful and sustainable change. Developing strong and sustainable community partnerships. Engaging in research and scholarship for community impact. Promoting service models for sustainable change. What community needs does the Center for Community & Social Impact address? How might the Center for Community & Social Impact demonstrate impact? Utilization of evidence based model to support family and community engagement. Create bodies of research and data that demonstrate changes in outcomes for organizations. Increased community awareness surrounding youth needs and child development. Increased utilization of youth services. Cohesive picture of community needs. What specifically can the Center for Community & Social Impact do to improve community outcomes? Partnering with diverse sectors of communities across the world to support efforts that, increase access, address inequity, highlight injustice and support positive community change from a strength based perspective. Collaborating with communities and organizations to identify needs that align with our student’s fieldwork/internship service requirement. Student practitioners gain invaluable experience in the community and Communities gain a support system of expertise to catalyze their mission and expand their service capacity. How will Pacific Oaks and the Center for Community & Social Impact know if its program/services have succeeded? Each project will be accompanied by assessment tool that will provide measurements of success. Quantitative and qualitative data will demonstrate program successes and areas for improvement. The development, completion and delivery of a program or service will also demonstrate success in some cases. How will the Center for Community & Social Impact be funded? We plan to finance the center in the same way that many other non-profit organizations are funded. Once we build our cadre of projects, and evidence of proven success we will continue to secure grant dollars to fund the projects that lose funding over time and those that require new funding. Any initial funding will support the Center’s capacity to function by a sustainable model. Exploration of survey data on their Trauma Informed Care training to quantify is community impact. Exploring student School Safety Surveys to identify factors that increase student access and safety concerns. Primary Response being evaluated: "Is there anyone in your school who cares about you?" Assisting Parent Engagement team to develop holistic plan and evaluative tool to assess impact of evidence based Parent Engagement policies and practices. Assisting in the development of community needs assessments for over 250 low to middle income new home owning families. Develop workshops on a variety of areas within our expertise. Coordinating data and outcomes to develop an evaluative tool for their Veterans Reintegration & Employment Preparation programs. Our projects will tap into the expertise of many of our faculty. We will be looking for grant dollars to support the next steps in these relationships in the lanes of data collection, interpretation and analysis. This would also support any future efforts to PO becoming a doctoral granting institution. In the building of our community partnerships we continue to discuss our fieldwork/Internship students who often have trouble finding sites to complete their 45 hours (not sure of the amount in CP). Organizations with whom we are building relationships would benefit from our students at the MA and BA levels. We would like to ensure that the student community has awareness of our local community needs, many of which are aligned. This would be a great opportunity to ensure that our students get to see their research operationalized, nothing more fulfilling in academia. Based on a Collective Impact model, Collaborate PASadena is an inclusive network of voices from Pasadena, Altadena, and Sierra Madre engaged in securing access and resources, and creating opportunities for children and families. For more information, visit the Collaborate PASadena website. Working through the City of Pasadena's Office of the Young Child, this group supports the improvement of access to early childhood development (children 0-5) programs for all families. In partnership with Young & Healthy, this group focuses on the physical, mental, social and emotional needs of children and families by bringing together community wide case managers representing all types of services. We share information so that we may understand the resources that exist in the community and beyond. 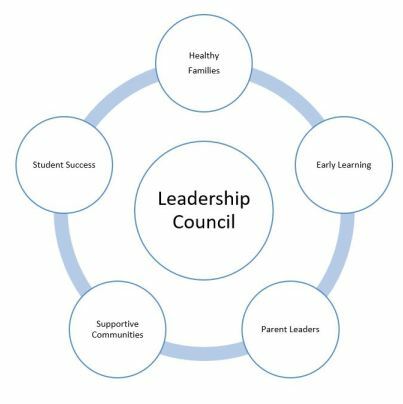 Comprised of school, city, nonprofit, parent and other community representatives, this group contributes to the academic success of all students, and identifies opportunities for students to be actively engaged in school and the community. With representatives from neighborhoods, faith community, the City of Pasadena, schools and youth, this group focuses on ways to connect people toward developing safe, stable and supportive neighborhoods.